Spectral and photochemical properties of bichromophoric dyad with two styrylquinoline (SQ) photochromes bridged by the decamethylene group have been investigated. According to stationary spectrophotometry data, there is no substantial interaction between the two SQ units of the dyad in the ground (S0) state. Under irradiation, two competitive reversible reactions occur: trans-cis photoisomerization of the SQ photochrome and intramolecular [2+2] photocycloaddition between two SQ photochromes, indicating the transient formation of excimer. 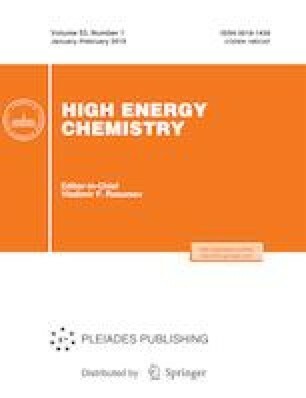 A comparison with results of model studies and earlier obtained data leads to the assumption that the excimer formation is facilitated by covalent bridging of the SQ photochromes by the decamethylene chain, whereas π-staking between the two SQ photochromes does not seem to play a substantial role. The study was carried out understate task no. 01201361847 and supported by the Russian Foundation for Basic Research, project no. 17-03-00789.